Hi all! Welcome to my table! This may sound crazy, but setting the table is my favorite. 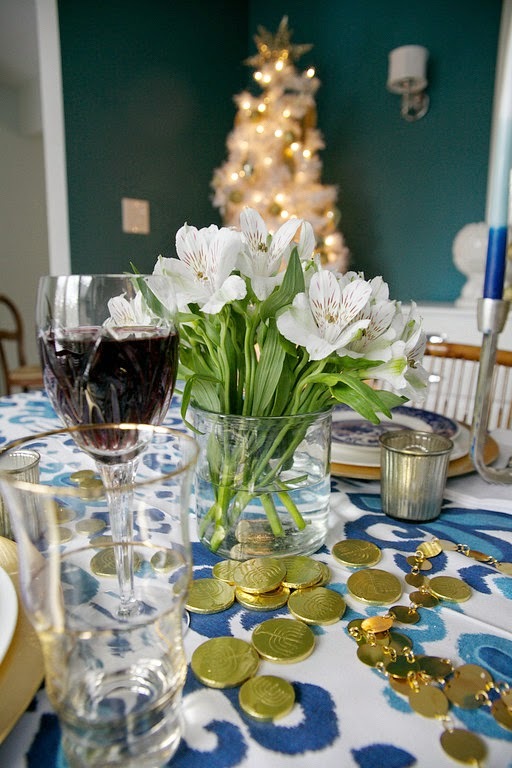 Whether it's for a party or for the holidays, I adore developing a scheme for my table (always decided on by color) and playing around with different elements to see what I create. It's never the same, but I keep key pieces. 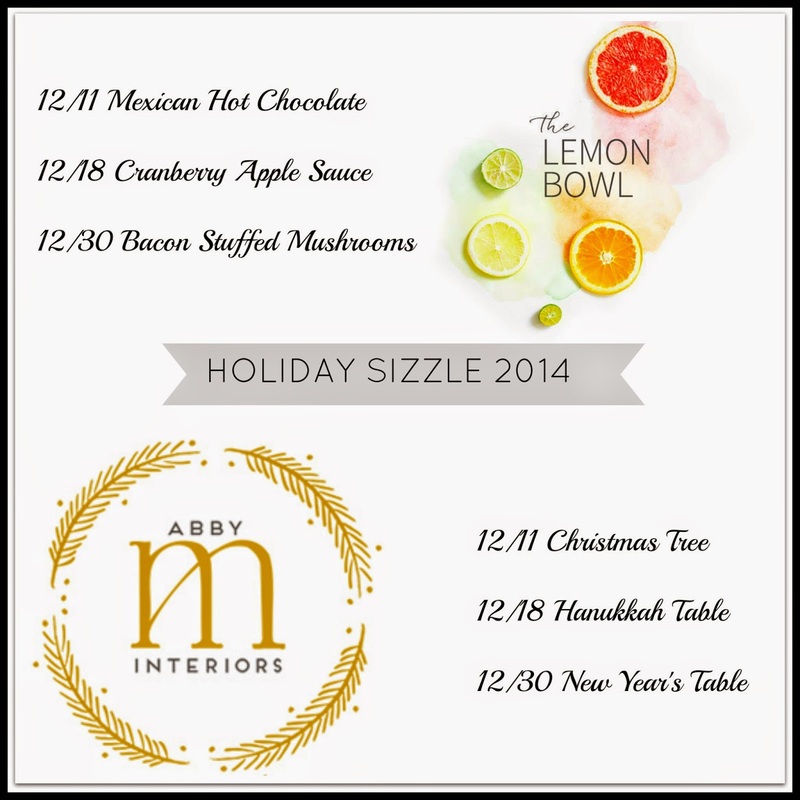 Today's table is part two of my #holidaysizzle2014 series with my gorgeous food blogging friend Liz! If you're not already following her, you must. The girl has skills! No, I have no idea what I'm doing with my wrist. Fashion blogger I am not, although you can't see my wine colored velvet pants in this shot. But don't you love Liz's dress?! 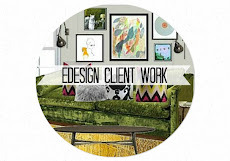 This week is Hanukkah, and although I'm not Jewish, I have many friends and clients who are. 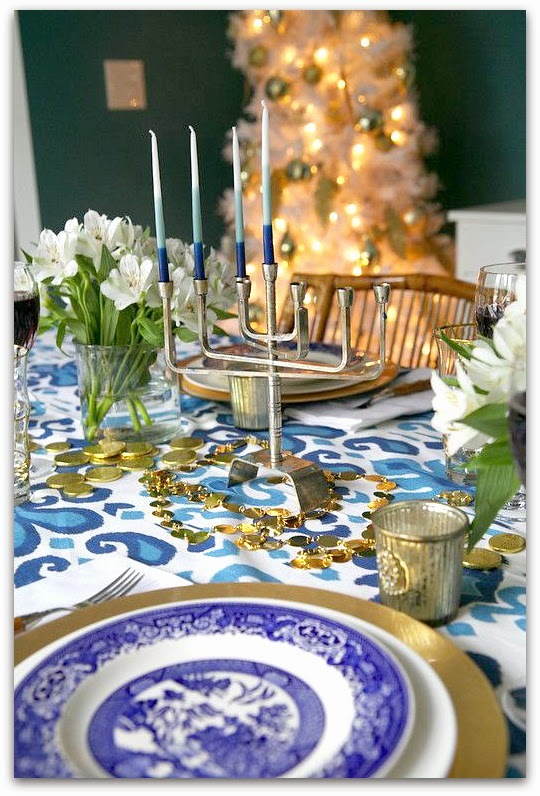 I thought it would be fun to create a Hanukkah table setting that could easily be swapped out for a Christmas table. Simply replace the menorah with your own candlesticks and you're golden. I personally love these color-blocked candles on the menorah. So beautiful! 1) Pick your colors. 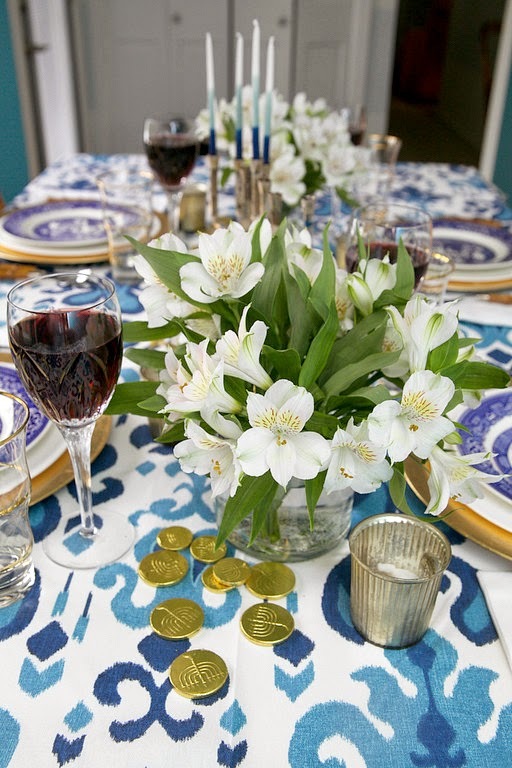 For obvious reasons I chose blue and white with hits of gold for this Hanukkah table. And because I love non-traditional holiday colors, these work for a Christmas table too. I started with the blue and white china I found at a resale shop. They were $2.50 a plate and I adore them. So sad they only had four. I purposely use white everyday china so that when it comes to special occasions they always look good. Plus, white dishes make your food look more appetizing. It's a fact. :-) Here is a set of white plates for a great price, especially when you're serving plenty of people! 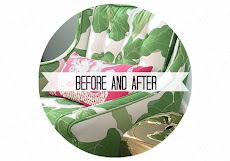 2) Add fresh flowers or greenery sticking with your colors. I realize many of us aren't keeping fresh flowers on the table daily, but here are tips to make your floral budget look more high end. -Stick with one color! For this table I used all white flowers in tight bunches. They look soft but intentional and were only $5 a bunch. They also lasted two weeks after this photo shoot! 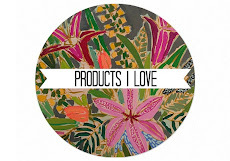 -If you can spend a bit more, then still keep your color variation to a minimum but vary your flowers. 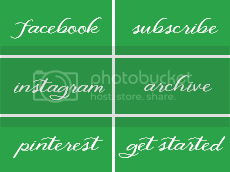 For example, use all white flowers but maybe three different types with different textures and styles. -OR, if you're feeling even more brave, pick three different shades of the same color and use those flowers. Keep your arrangements low enough that your guests can still see each other easily over the flowers. Here are glass vases I love that are simple enough yet pretty. Thank you to Tracy Anne Photography for taking all of these gorgeous photos! 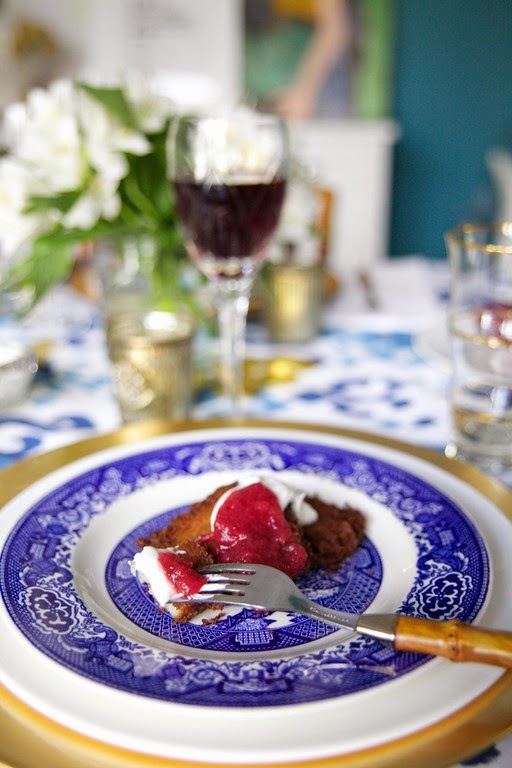 Liz made the most incredible Slow Cooker Apple Cranberry Sauce to top your potato pancakes! I'm here to testify to how delish this was. Especially with a dab of yogurt! Click over to her site for the full recipe here. 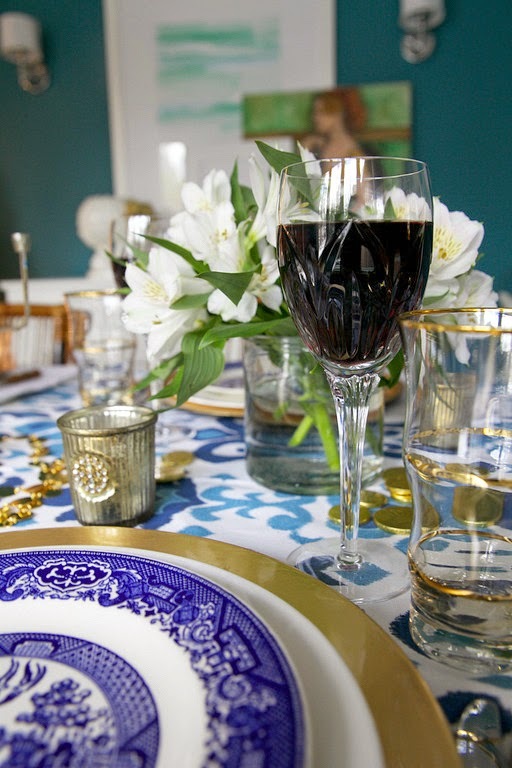 Overall, what I hope you remember while setting your holiday table is that anytime the people you love gather, it's worth getting out the good stuff from your wedding or your grandmother's china. Use those crystal glasses you let get dusty throughout the year. Life is short. Live with beauty! 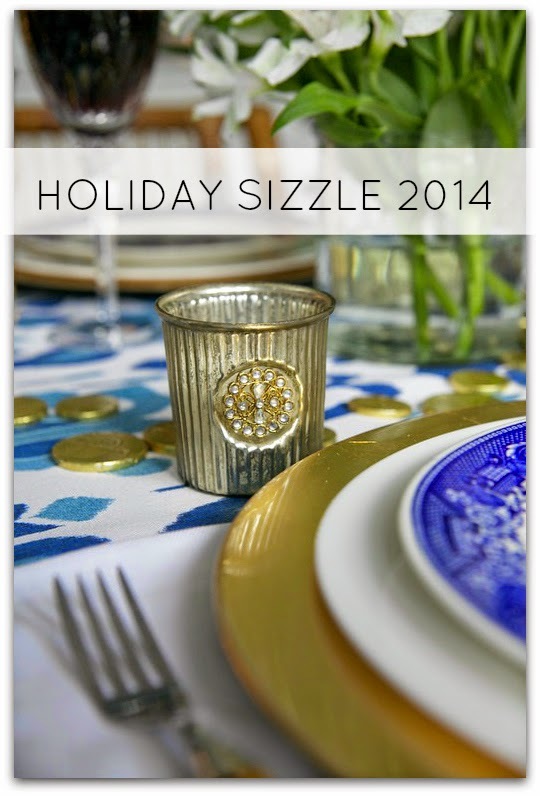 Be sure to join us for the final installment of the #holidaysizzle series on December 30th! 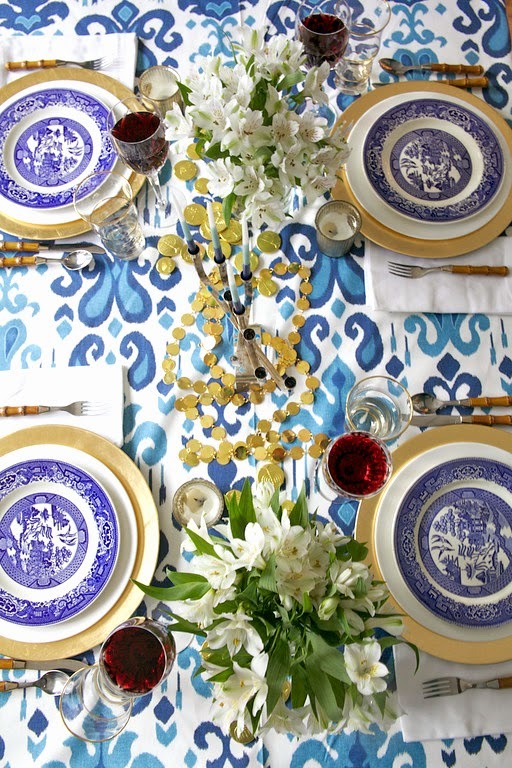 What do you think of this blue and white table? Oh how I love this post!!! 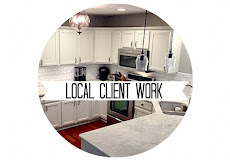 The photos, the tips, the scene... You're so inspiring!! 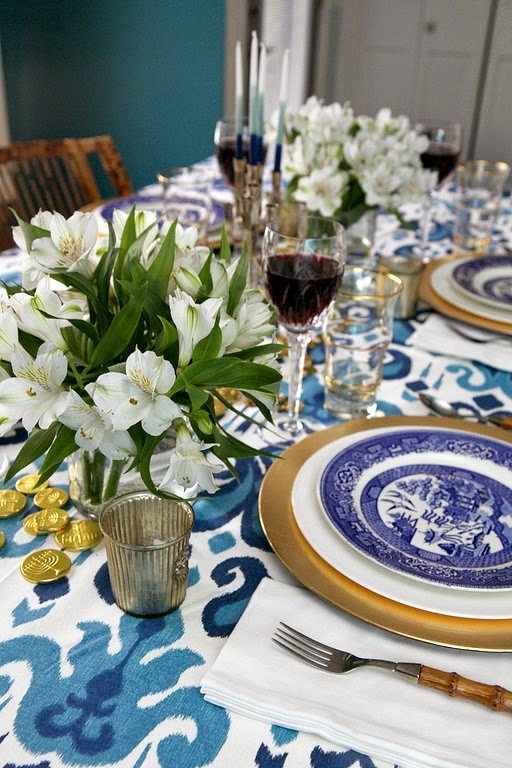 I love the blue and white table setting with the gold accents! Just gorgeous!